Medical Autoflowering Seeds do they have a role to play in the Marijuana Culture, read a full review of all of our findings om Autoflowerings seeds, here at VegPage, your number 1 supplier of fresh, Medical Marijuana Seeds. Chronic Widow Medical Marijuana seeds are the latest, high quality strain brought to you by I Love Growing Marijuana, one of the most trusted and popular Marijuana and Cannabis seed producers and retailers. A combination of the highly awarded White Widow, and big-bud yielding Chronic, has produced a heavy-weight hero with ‘cash-crop’ harvests and medical grade THC/CBD levels. Chronic Widow seeds produce some of the most vibrant plants, containing the very best traits and characteristics from both White Widow and the original Chronic strains. Highly versatile and extremely hardy, the plants are easy to grow, requiring only a small amount of knowledge or experience to produce an outstanding crop of highly potent buds. Adapted for growing either indoors and outside, Chronic Widow reaches between 100 – 200 cm tall, depending upon conditions, environment and growing techniques. Its 65% Indica dominant genetics produce a bushy plant, perfect for Screen-of-Green growing techniques, where it’s height can be reduced, while maximizing bud sites and overall harvests. 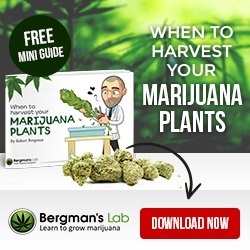 If you would like to learn more about improving and increasing the yields from your Marijuana plants, download the free E-book at the top of the page. Packed full of methods and systems to help improve both quality and yields, this free download E-book is a ‘must have’ for all Marijuana growers and enthusiasts. White Widow is considered the perfect beginner strain. Easy to grow and forgiving of many small errors, their seeds have produced countless harvests of the highest quality buds. Many of those characteristics have been combined with the slightly more difficult Chronic strain, producing a winning formula with a short 65 day flowering phase and THC levels averaging 23%. We highly recommend Chronic Widow medical Marijuana seeds for their stable, uniform plants and large, potent yields. Created in Amsterdam, Holland, each seed is individually selected, ensuring only the highest quality seeds are dispatched. Each individual seed is guaranteed to germinate under the I Love Growing Marijuana germination guarantee, and, devoid of any male chromosomes, each plant will be a true, 100% female, capable of producing the finest buds and highest quality colas. Chronic Widow is a highly potent form of medical Marijuana, producing a powerful Sativa high, while delivering a knock-out ‘body-buzz’. High THC and CBD levels combine to ‘hit’ even the most seasoned smoker, while ‘light-weights’ should be aware of it’s ‘couch-locking’ potential. A great strain for night-time use, with positive and powerful effects. Both Chronic and White Widow are well known for their recreational and medicinal benefits. Combining the two strains has only strengthened these attributes, producing a potent strain that can provide relief from stress and anxiety, depression and insomnia, as well as being a very good form of natural pain relief. You can buy Chronic Widow Medical Marijuana seeds in packs of 5, 10 and 20 feminized seeds. World-wide postage and super-stealth packaging are included in the price, and delivery is guaranteed. To find out more about buying Chronic Widow Medical Marijuana seeds online, click below.